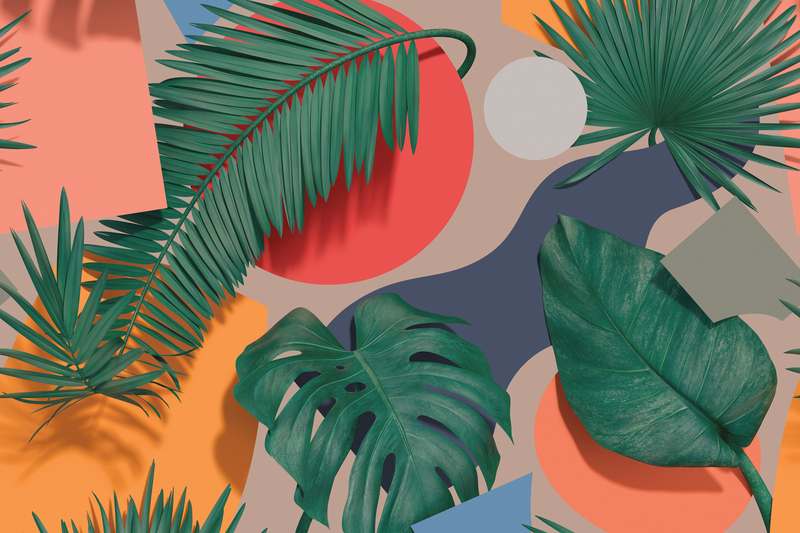 Textile design created for a women sportswear collection by Adidas, featuring a series of Latin American artists. Each design should reflect on the artist’s country and the rich, vibrant personality of women. My approach was to resonate the Brazilian diversity by playing with a combination of highly detailed leaves and clean multicolored shapes. The intersections of leaves and forms add depth and detail to the composition, while still keeping it graphic. The design was created as a seamless pattern and printed in two color schemes, applied in 5 different apparel items.